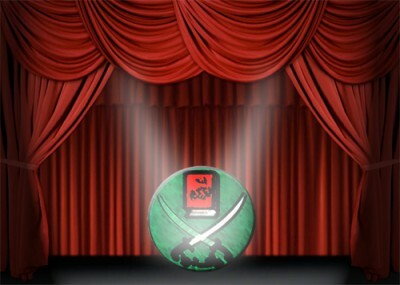 They represent the new political power in Cairo, and given their performances in public events in Washington last week, the Muslim Brotherhood's Freedom and Justice Party has the art of doublespeak nailed. At two events, four FJP members spoke about dialogue and respect for the West, in comments often at odds with the party line in their home country. They sidestepped controversial issues and tailored their message of dialogue to exclude the party's extreme positions during an appearance Wednesday at Georgetown University and Thursday at the Carnegie Endowment for International Peace. They stuck to that theme despite aggressive questions which came mostly from Egyptian secularists. "We are here to start building bridges with the United States," said Sondos Asem, the senior editor of the Brotherhood website Ikhwanweb.com and the editor of the group's Twitter account. She spoke about the FJP's embrace of "Freedom, Human Dignity, Justice, and Democracy," as well as her own experiences of being considered a security risk under the Mubarak regime. But the website she edits, Ikhwanonline.com, has previously burned those bridges with hateful and anti-Western rhetoric. In a statement condemning Osama bin Laden's death at the hands of American special forces, an article published by Ikhwanonline condoned attacks on foreign forces occupying Muslim lands, including American troops. The article states, "so long as occupation remains resistance is legitimate and it [the Muslim Brotherhood] calls on the United States, NATO and the EU to end the occupation in Afghanistan and Iraq, and recognize the legitimate rights of the Palestinian people." Other articles on her website hail violence and terrorism. One celebrates the life and death of Hamas founder Ahmed Yassin, while another claims that America actually creates terrorist states to have reasons to invade the Muslim world. Abdul Mawgoud Dardery, who serves on the FJP's foreign relations committee, told the Georgetown audience about his "dream" for a new Egypt. "We have a dream" about providing Egyptians with the necessities and "speaking truth to power," he said, making reference to Martin Luther King's "I have a dream" speech. But Dardery dodged questions about previous comments he had made about Israel and the United States looting Egypt, claiming that what really wanted was a change in American foreign policy. "We cannot forget the Iraq War," he said, while blaming the American Islamophobia for Middle Eastern hostility towards the West. "It was a wrong decision of oil vs. democracy." FJP members Hussein El-Kazzaz and Khaled Al-Qazzaz defended the group's flip-flopping on political issues, like putting forward a presidential candidate after promising the opposite. The decision to promote a Brotherhood candidate was taken after the military told them they were becoming too powerful. El-Kazzaz said, whereas the group turned down a previous candidate who did not conform to their internal "democratic decision-making process." When pressed by Professor John Esposito, a strong Islamist sympathizer who suggested the group might have proposed the candidate as a response to rising popularity of a rival Salafi presidential pretender, Al-Qazzaz claimed that the group did not analyze other candidates and wasn't interested in controlling the whole political system. The group, which won 47 percent of the vote, was looking for a president "who would support democracy" even at the cost of the party's own Islamist agenda, he claimed. On the issue of enforcing Shariah law and on making Egypt an Islamic state, Dardery said that the party was more interested in running the nation according to Islamic principles rather than specific laws. But when a secular Egyptian activist pressed the speakers about statements supporting a renewed Caliphate, Al-Qazzaz called the term a "cliché" and said that no one should object to a Muslim super state that would be like the European Union. Khairat el-Shater, the Brotherhood's recently anointed presidential candidate, is far more committed to the concept. He told a panel of ultraconservative Salafi clerics and scholars Tuesday night "that Shariah is his top and final goal and that he would work on forming a group of religious scholars to help parliament achieve this goal." In response to other questions, the group claimed it would be transparent about funding, that the FJP was creating a think tank, and that the Brotherhood thought that it was okay for people to criticize Islam, despite statements to the contrary from the Brotherhood. Deceptive statements like these were also common at Thursday's event, cosponsored by the Carnegie Institute, the Swiss Government, and the Heinrich Boell Stiftung. A reporter asked about the Brotherhood's long history of radical rhetoric and pro-violent jihad ideology during the Carnegie event, during a session entitled "Building New Regimes after the Uprisings." The West simply misunderstood these terms, Dardery said. Jihad, he said, was an internal process and even eating was a form of jihad. Shariah didn't mean applying harsh religious law, but rather is about being inspired by the principles of Islam. He claimed that these interpretations were provided by the Brotherhood in its educational materials and that he was a proud "product of the movement." But document after document from the Brotherhood's educational materials suggests the opposite. In his book Peace in Islam, MB founder Hassan al-Banna called violent jihad, "one of the best virtues with which to gain the pleasure of Allah, the High and the Blessed, and death in His cause will realise glory in this life and in the hereafter. From this obligation no one is exempt except for those who are incapable of fighting, but they must equip others or guard their families when they are away, if they are able to do so." In another classic text, Jihad is the Way, former Supreme Leader Mustafa Mashhur elaborates on why violence is the only way to liberate Muslim lands. "Jihad for Allah is not limited to the specific region of the Islamic countries, since the Muslim homeland is one and is not divided, and the banner of Jihad has already been raised in some of its parts, and it shall continue to be raised, with the help of Allah, until every inch of the land of Islam will be liberated, the State of Islam will be established," Mashhur wrote. During the same session, Tunisian Islamist Sahbi Atig claimed that his party wanted a moderate Islam along the lines of Islamists like Yusuf al-Qaradawi, who advocated benefiting from the West in ways that don't contradict Islam. Qaradawi, a Muslim Brotherhood spiritual leader, is considered so radical that he was recently banned from entering France. In his famous book, Priorities of the Islamic Movement in the Coming Phase, Qaradawi stated that spiritual growth should motivate Muslims to fulfill their Islamic obligations, like "liberating Muslim territories from all aggression or non-Muslim control" and "reinstating the Islamic caliphate system to the leadership anew as required by Sharia." Al-Qazzaz glossed over FJP radicalism during a session on "Writing a New Constitution." Concerning the constitution's infamous 2nd article, which makes Islam the state religion of Egypt, al-Qazzaz claimed that "all Egyptians agree on this article" because it is a part of Egypt's identity. That claim ignores Egypt's current reality on the ground. Secular parties have pulled out of the Islamist dominated constitutional committee, with a leading secular politician stating, "We are going to boycott this committee, and we are going to withdraw and let them make an Islamic constitution. We are going to continue struggling for a secular Egypt in the streets." Al-Qazzaz and other speakers in the two-days of events also failed to mention the Brotherhood's threat of "blood on the streets" if the new constitutional committee did not make Islam the state religion, despite promises to be inclusive when making the new governing document. When asked whether Egypt would maintain its treaty obligations, al-Qazzaz made a veiled threat about nullifying the nation's peace treaty with the Jewish state. "We have a right to review all treaties," al-Qazzaz said, claiming that it was a right of the Egyptian people to review treaties formed by the dictatorship, as they weren't necessarily binding. That clearly contradicts what the group said during the election process.